Patient had a history of a squamous cell carcinoma of the lip. 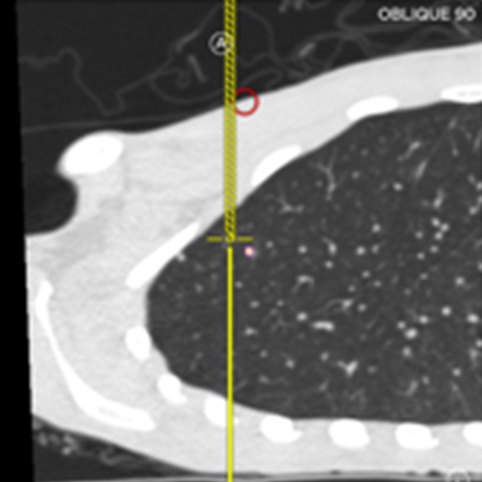 CT scan of the chest revealed a 4mm indeterminate lung nodule. 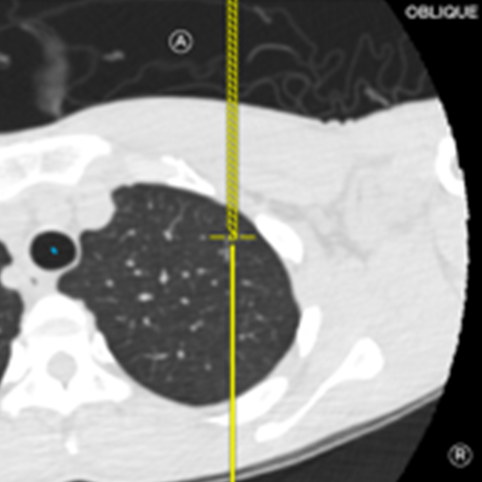 Localization and resection of this was planned to determine if this was a metastatic nodule for both staging and potentially therapeutic purposes. 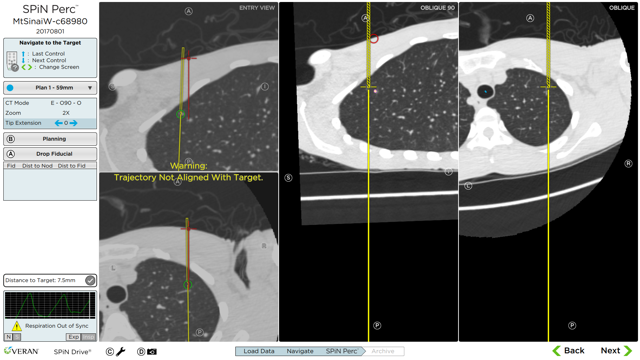 Dr. Bhora and Dr. Raad used the Veran SPiN Planning™ software to create a plan to target a 4mm nodule in the LUL. In addition to identifying the target, an entry point for the localization needle was set to allow for easy setup and access to minimize OR time. The patient was placed on the OR table in the supine position. Lumen refinement was performed to accurately match the image and patient space prior to navigation. The percutaneous entry point was then identified by aligning the SPiN Perc™ 19ga UTW Always-On Tip Tracked® needle to navigate roughly 3mm medial to the set plan to keep the nodule intact for diagnosis. A 0.75mm Visicoil fiducial was successfully placed about 2-3mm deep in reference to the nodule. After placing the fiducial, transition to VATS wedge resection began and the patient was repositioned into a right lateral decubitus position. Fluoroscopy confirmed accurate placement of the fiducial. 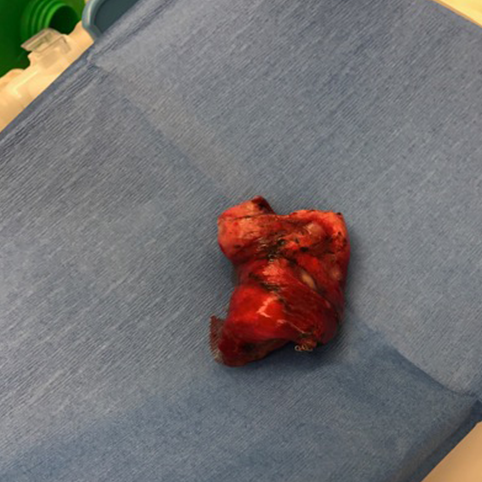 Once the tissue was resected, pathology confirmed the nodule was malignant and that it was indeed metastasis from the patient’s previous cancer.